Embattled banking giant Citigroup Inc. spent about $3.5 million to provide rewards for top-performing advisers at its Smith Barney brokerage unit. The payments are in lieu of three trips Citi usually plans for its top revenue-generating advisers in the division. Those trips were canceled earlier in the year as Citi attempts to slash costs amid the ongoing economic downturn. Citi has posted five consecutive quarterly losses and received $45 billion in government assistance during the ongoing credit crisis and recession. Many major financial firms that have received government funding in recent months have drastically scaled back spending on events and perks for employees amid growing anger from politicians in Washington about how they spend money. Citi said none of the money from the government investment is being used for the rewards. "This program is funded by operating revenue of Smith Barney and achieves a nearly 80 percent cost saving over some previous recognition programs," Citi spokesman Alex Samuelson said Monday. 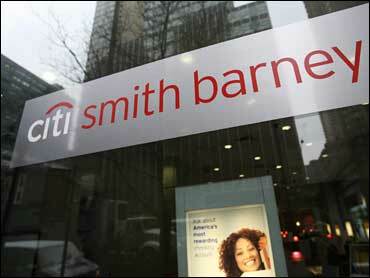 Smith Barney generated $2.3 billion in revenue during the final quarter of 2008, a 17 percent decline from the same quarter a year earlier. For the year, revenue fell 3 percent to $10.24 billion. Smith Barney's top 500 brokers received $3,000 debit cards, according to a story on the bonuses reported Monday by the New York Post. An additional 500 received cards for $2,000 each, with another group receiving $1,000 each. "We will prudently balance the recognition and development needs of our best advisers with the need to manage our business during this difficult environment," Samuelson said. As part of its ongoing plans to reduce assets and try to regain profitability, Citi is selling a majority stake in Smith Barney to Morgan Stanley. The pair will merge their brokerage operations into a joint venture, with Morgan Stanley owning a majority stake in the firm. Late last month, Citigroup and the Treasury Department agreed on a deal that will give the government up to a 36 percent stake in Citi. The government, along with other private investors, will convert some of their $45 billion in preferred stock into common shares. If the maximum amount of preferred stock is converted, current common stockholders will see their ownership stake fall to about 26 percent. Citi has been among the hardest hit banks by rising loan losses and defaults as well as write-downs on the value of certain investments, especially those tied to the souring residential real estate market. Shares of Citi rose 2 cents to $1.05 in morning trading.